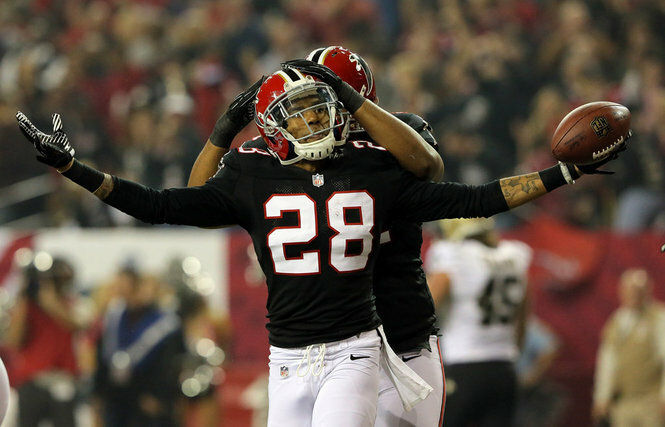 As expected, the Atlanta Falcons have released free safety Thomas DeCoud. The Falcons have released safety Thomas DeCoud. After putting together a Pro Bowl (alternate) season in 2012, DeCoud’s play in 2013 fell significantly. In 2012, he led the Falcons with six interceptions. Last season, he generated no turnovers, and was a severe liability (along with the rest of the Atlanta defense) in the run game. The Falcons drafted DeCoud in the third round (98th overall) of the 2008 NFL Draft. He became a full-time starter in 2009. DeCoud was awarded with a five-year, $17.5 million deal in 2011. The Atlanta Falcons’ 31-23 victory over the Tampa Bay Buccaneers ended a three-game skid, including two consecutive home losses. The Falcons had to lean heavily on Matt Ryan, and with wide receivers Julio Jones and Roddy White ailing, it was up to Harry Douglas to take on the role as the number one option in the passing game. The Atlanta Falcons have agreed to terms with strong safety William Moore on a five-year deal, according to Adam Schefter. Moore has emerged as one of the better safeties in the NFL. He was voted to the Pro Bowl last season after totaling 75 tackles, one sack, two forced fumbles, and four interceptions. Paired with free safety Thomas DeCoud (who was also voted to the Pro Bowl), the two combine to make one of the best safety tandems in the NFL. 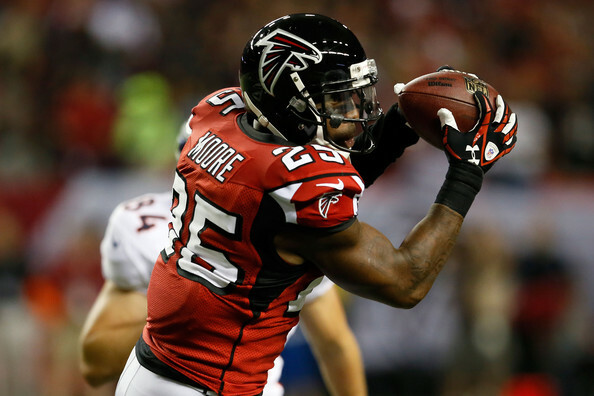 Moore was drafted by the Falcons in the second round (55th overall) of the 2009 NFL Draft. His rookie year was marred with injury, but after becoming a full-time starter in 2010, he showed what he was capable of. For his career, Moore has 203 tackles, 1.5 sacks, five forced fumbles, and 11 interceptions. Atlanta Falcons free safety Thomas DeCoud and strong safety William Moore were added to the Pro Bowl roster today. DeCoud will replace San Francisco 49ers free safety Dashon Goldson. DeCoud had a career year, totaling 76 tackles, one sack, and a career-high six interceptions. Moore, who the last four games of the season due to a hamstring injury, will replace 49ers strong safety Donte Witner. In 12 games, Moore had 75 tackles, one sack, two forced fumbles, and four interceptions. And really, these two were Pro Bowl snubs to begin with. Matt Ryan and the Atlanta Falcons’ 0-3 record in the playoffs since 2008 is well-known and brought up aplenty. The pressure is on for the Falcons to get that playoff win. Atlanta was bounced out of the playoffs in embarrassing fashion the last two years, losing 48-21 to the Green Bay Packers in 2010, and 24-2 to the New York Giants in 2011. Three Atlanta Falcons have been voted to the Pro Bowl: quarterback Matt Ryan, tight end Tony Gonzalez, and wide receiver Julio Jones. Ryan has posted career numbers in yards, touchdowns, and passer rating thus far. He has thrown for 4,481 yards, 31 touchdowns, and 14 interceptions on 394 of 571 (69.0 percent) passing. The 36-year-old Gonzalez has played at a high level despite his age. He has 88 receptions for 889 yards and 8 touchdowns. Jones is building upon a good rookie campaign with a great sophomore showing. The second-year receiver has totaled 76 receptions, 1,142 yards, and 10 touchdowns. All of Jones’ numbers are up from last year. 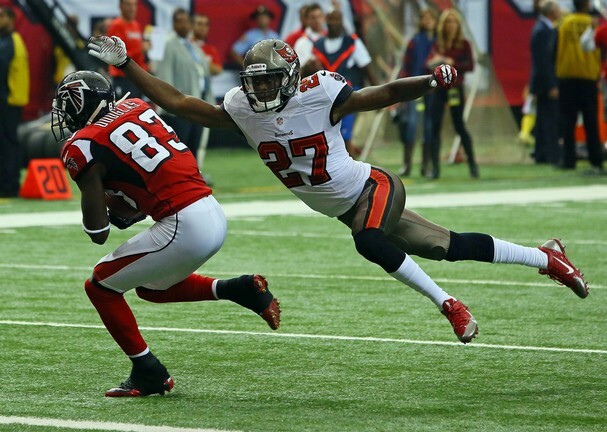 When it comes to snubs, you have to look at John Abraham, Thomas DeCoud, and Roddy White. Abraham has 10 sacks and six forced fumbles; DeCoud has six interceptions on the year and has been one of the best safeties in the league; White has 87 catches for 1,309 yards and seven touchdowns. How those three weren’t selected to the Pro Bowl is baffling. In what was a statement game for both teams, the Atlanta Falcons imposed their will on the defending Super Bowl champions, shutting out the New York Giants 34-0. It was the first time the Giants (8-6) had been shutout since 1996. Matt Ryan threw three touchdowns in the Falcons’ win. Julio Jones caught two of those touchdowns, marking the first time this season the receiver has notched a touchdown reception at home. On a night that saw the Falcons offense struggle, it was the defense that took over the game. The Atlanta Falcons (11-1) defeated the New Orleans Saints (5-7) for the first time in four tries by a score of 23-13. The Falcons defense intercepted Drew Brees five times – the first time in Brees’ career he’s thrown five interceptions. Brees was also held without a touchdown pass for the first time in 54 games.